The disorder, Cornelia de Lange Syndrome (CdLS), is estimated to occur in up to 1 in 10,000 births worldwide. CdLS causes a range of developmental anomalies, both physical and cognitive, and up to 70 percent of people with CdLS have congenital heart defects. CdLS is known to result from mutations in subunits or regulators of cohesin, a group of linked proteins necessary for cell division and other cell processes. It is one of a spectrum of disorders known as cohesinopathies. Otago Department of Pathology researcher Associate Professor Julia Horsfield says that up until now the mechanisms leading to heart defects in CdLS have been poorly understood. 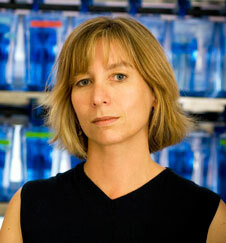 “Now, through our new study, we show that lowering levels of a particular cohesin protein called Rad21 in embryonic zebrafish produces similar types of heart defects to those found in people with CdLS,” Associate Professor Horsfield says. The research team found that a key downstream effect of depleting the protein was that particular cells failed to migrate to the heart, where they would usually have played key roles in developing heart structures. The researchers were surprised to find that zebrafish embryos partially depleted of Rad21 developed almost normally, except for the presence of the structural abnormalities of the heart, she says. “Our findings suggest that heart development is exquisitely sensitive to the available amount of Rad21 and cohesin—it can be compromised even when there is sufficient cohesin present to support relatively normal growth. “This also raises the possibility that mild mutations in cohesin genes may be the cause of some fraction of congenital heart defects in the general population,” she says. The findings were recently published in the international journal Human Molecular Genetics. The work was supported by the Neurological Foundation of New Zealand and the Royal Society of NZ Marsden Fund.